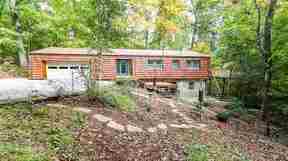 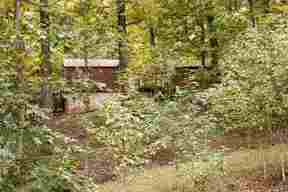 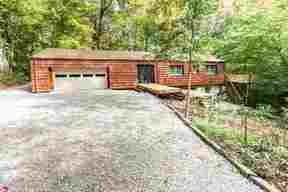 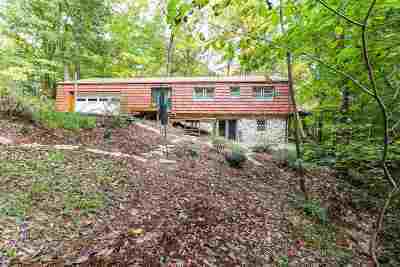 Single Family Home Beautiful wooded, secluded setting on north side of Evansville. 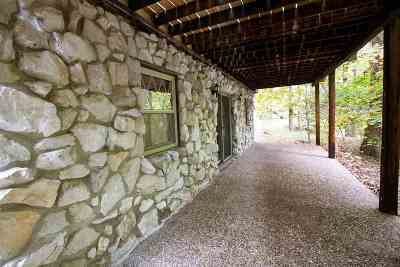 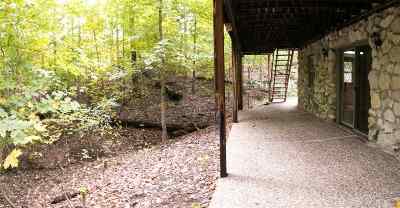 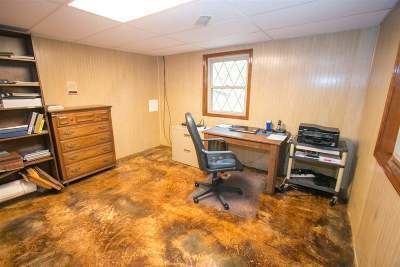 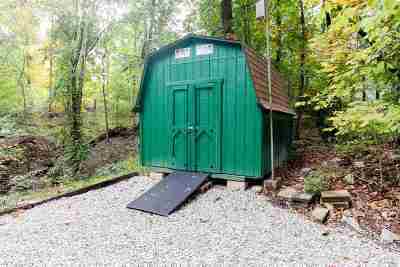 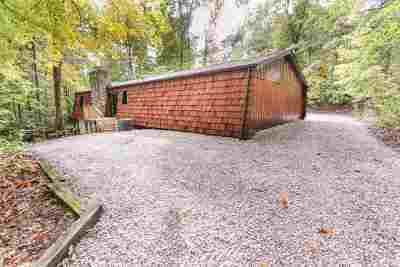 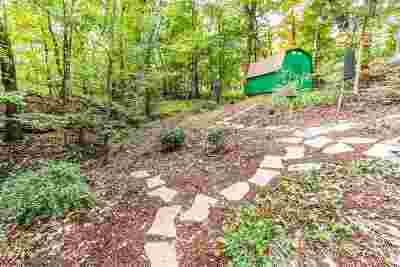 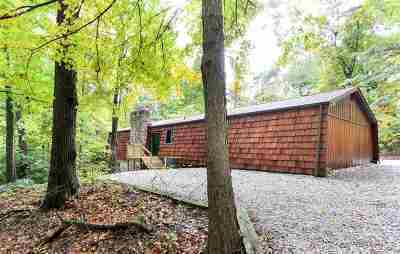 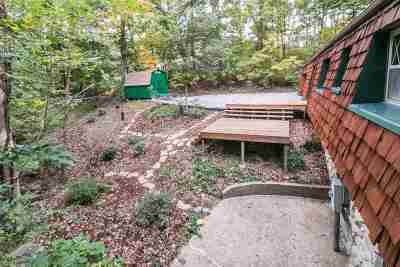 Beautiful wooded, secluded setting on north side of Evansville on almost 1 acre of ground. 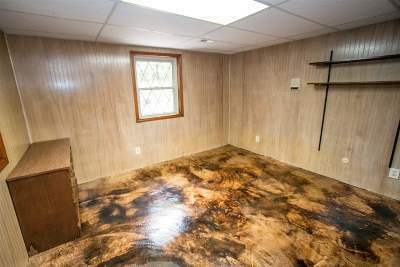 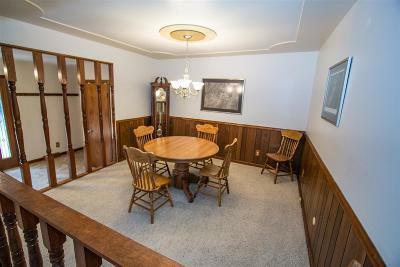 This unique home has so much to offer: approx. 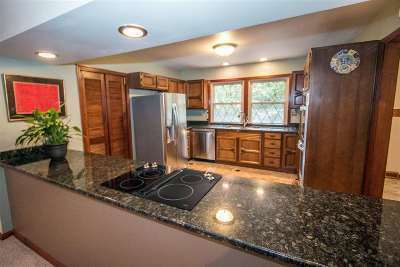 2900 total finished sf of living space, 3 Bdrms, 2.5 Baths, open floor plan, finished walk-out lower level with huge family room, and more. 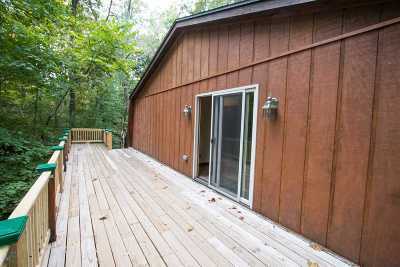 There are several areas to enjoy the gorgeous wooded views: a large deck off the side, deck off the front, and 2 patios off the lower level exterior doors, and wildlife abounds all around. 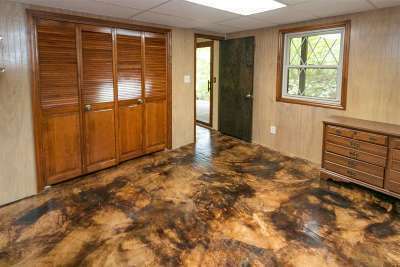 The Entry has an attractive marble floor and newer leaded-glass front door. 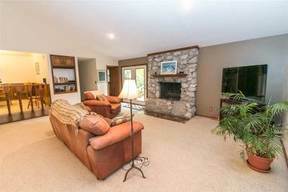 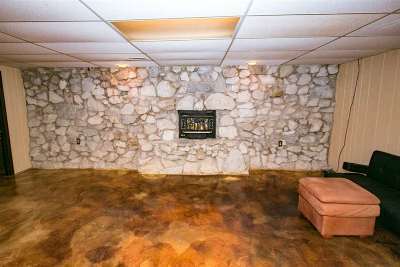 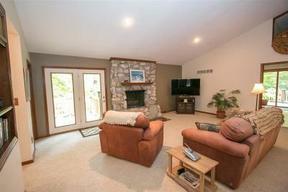 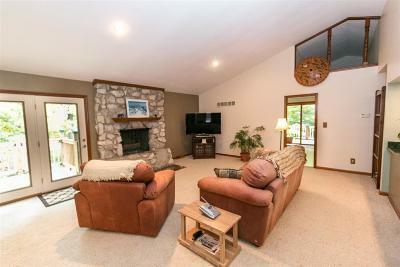 The spacious Living Room has a massive stone wood-burning fireplace and vaulted ceilings. 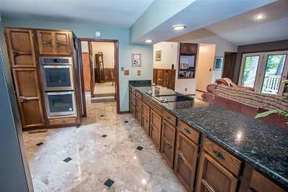 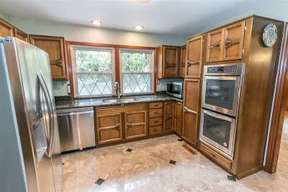 The Kitchen has gorgeous granite countertops, marble flooring, and all the new stainless appliances are included. 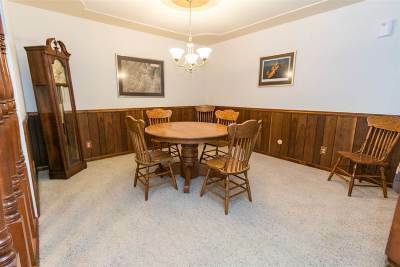 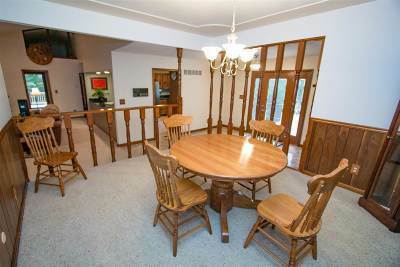 There is a formal Dining Area, all open to the Living Room and Kitchen. 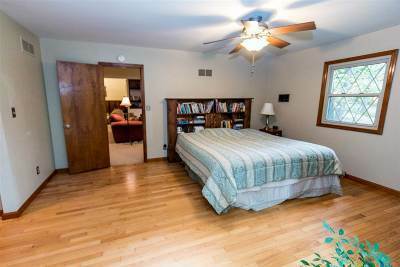 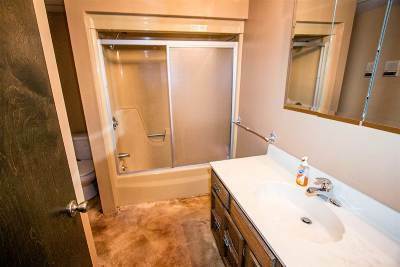 The Master Suite was completely redone and has hardwood floors, 2 generous closets between the Bedroom and Private Bath; the Master Bath has the higher double sink, and large whirlpool tub/shower. 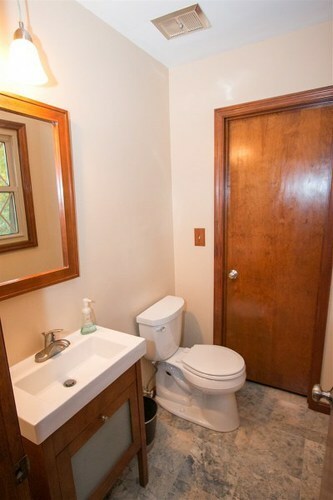 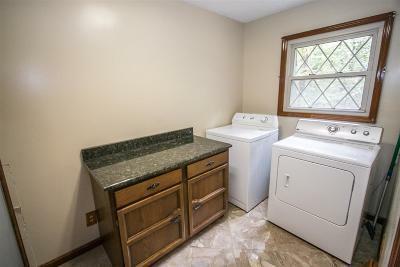 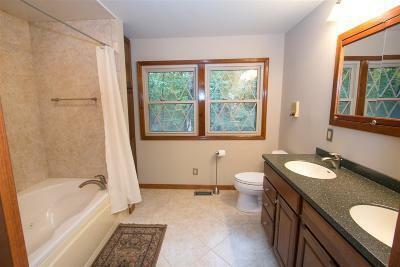 There is a convenient ½ bath on the main level for guests. 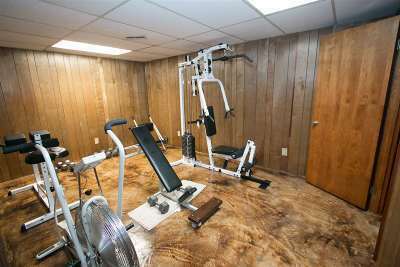 The finished Lower Level has an enormous Family Room with stunning painted concrete floor, Bedrooms 2 and 3, and another room currently used as a workout room, but has many possibilities: studio, music room, etc. 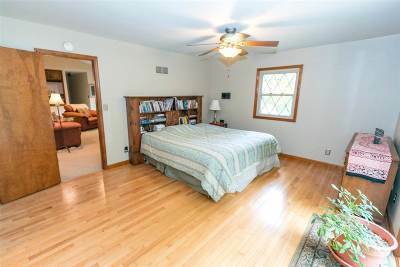 Much of the lower level is above grade, and has full windows plus 2 areas to walk out to patios. 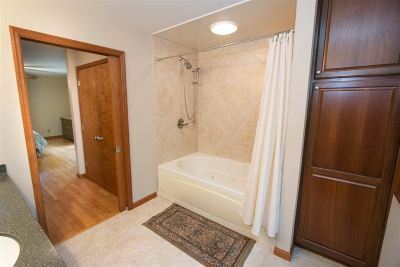 There is also a 2nd Full Bath in the lower level with a tub/shower combo. 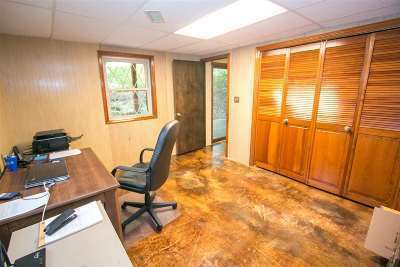 The deep attached garage has pull down stairs to the attic with newer insulation, central vac, newer garage door, and is all finished. There are 2 entrances from the interior of the home to the garage for convenience. 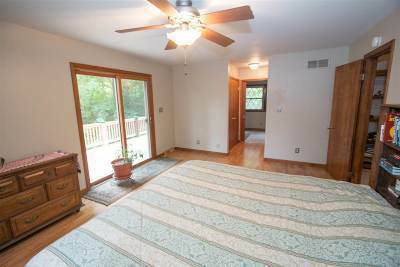 Updates per owner: exterior cedar shake stained, exterior lights, rebuilt elevated and back deck 2017; roof 2014; Master Suite redone 2007; and newer windows, patio doors, garage door, furnace and central air, interior paint, water heater.